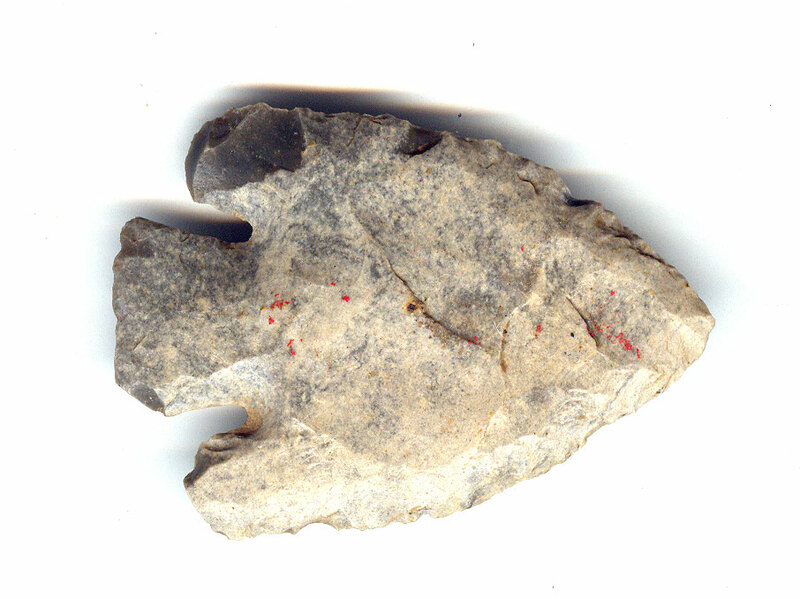 A Medium Size, Visibly Aged And Heavily Anciently Used, Base Notched Point That Exhibits Surface Aging Coloration And Overall Heavy Stone Patination, Aging In The Base Notches, Aged Surface Deposits, Correct Blade Sharpening Use Reduction, Correct Archaic Style Flaking, Visible Recent Ding Age Coloration Change, Correct Material And Manufacture For The Area Found. Reported Found On The Brazos River, In McLennon County, Texas. This Example Displays Age And Use! Includes Dwain Rogers And Ken Partain Certificates Of Authenticity!